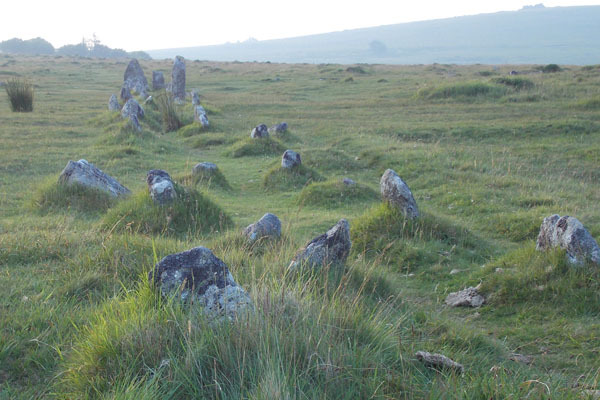 Bronze Age Stone Rows are found throughout Dartmoor in a variety of lengths, styles and conditions. 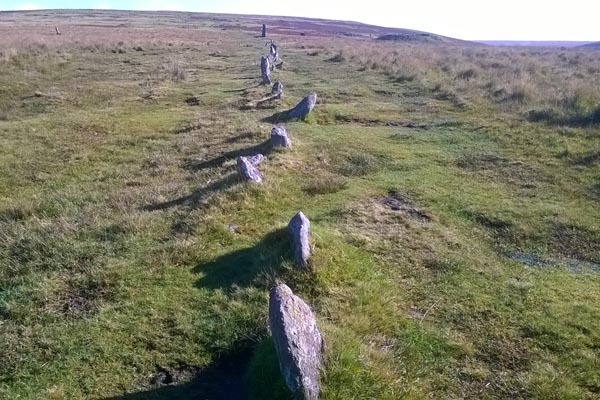 Some reach up to 500m long, some are double or even triple stone rows, some are decorated with large blocking stones at their termination points and some are barely visible at all. You will note as you traverse Dartmoor that they also have the tendency to trend NNE-SSW or roughly E-W. There are several explanations for these trends, most notably as solar calendars, with research conducted at the Merrivale complex that identifies an almost unargueable link to the solar calendar. The Drizzlecombe ceremonial complex is home to two well preserved stone rows, along with the hint of a third row to the west, as identifed by three cairns at the north end of these stones. 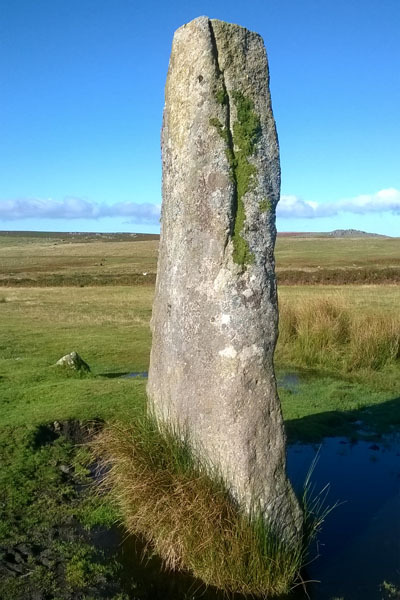 Single Stone Row – Drizzlecombe. Note the large blocking stone at the top centre of the image. This row trends NNE-SSW. 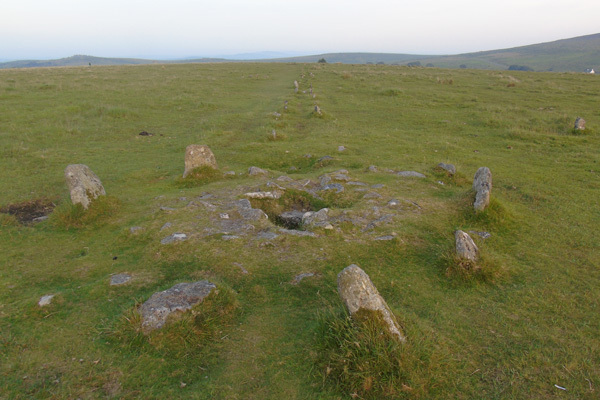 Another important Bronze Age relic is that of the Merrivale ceremonial complex of stone rows and cairns. At Merrivale we have another example of two very distinct E-W trending stone rows with a third, less distinct NNE-SSW row. The rows at Merrivale are double stone rows with single large blocking stones at their terminal pointsro. The longer of which has a small but ornate cairn surrounded by a stone circle at it’s centre.